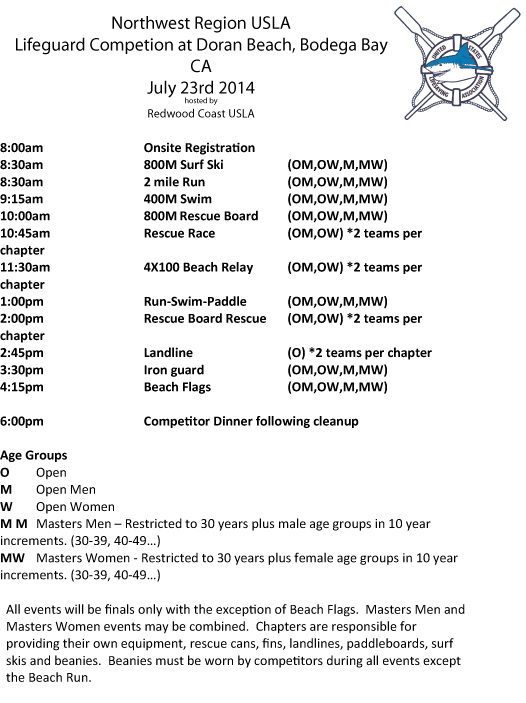 Redwood Coast United States Lifesaving Association will be hosting the 2014 Northwest Region USLA Lifesaving Competition at Doran Beach in Bodega Bay CA on July 23rd 2014. Lifeguards from Washington State, East Bay California, Lake Tahoe and Oregon will be competing in lifeguard skills beginning at 9am with a Beach run and an 800m surf ski. This is the first time that the Northwest Region will be competing in the Pacific Ocean. For a full list of the schedule of events click here. 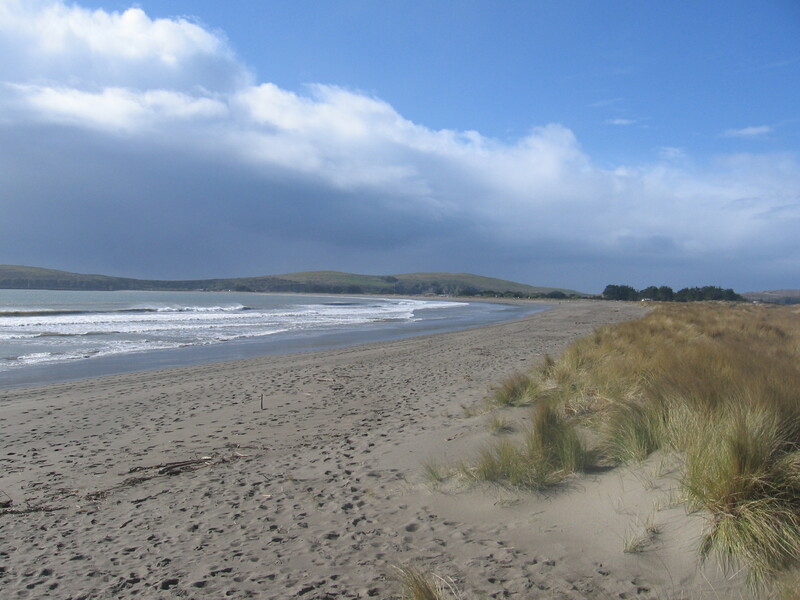 For more information on the site, wet suit rentals and camping please go to the competition page. Coaches or team leaders please bring proof of membership for all participants by signing up for the USLA membership prior to the event. Please contact David Robinson at david@lifeguardsforlife.org with any questions on how to do this.